With the U.S. EPA’s Tier IV requirements for NOx emissions taking effect soon for new or rebuilt engines over 800 horsepower, shipowners are evaluating options for cost-effective compliance – and manufacturers are stepping up with proven solutions. At the International Workboat Show in New Orleans in early December, engine manufacturer Caterpillar briefed industry members on their new Tier IV compliant 3500-series marine engine, available in configurations between 800 and 3400 horsepower. Cat also offers Tier IV versions of its C280 engines between 2300 and 7500 horsepower. For compliance, both series rely on selective catalytic reduction (SCR), in which a solution of urea is injected into the exhaust stream to react with NOx, producing nitrogen gas and water. The SCR concept was patented in 1957 and has been in widespread shoreside use for some time, notably on heavy trucks. Cat suggests that its Tier IV engines will have a much lower operating cost than Tier III offerings, which had to sacrifice fuel economy for compliance. The company says that the purchase of urea, typically less than $1 per gallon, will not be expensive enough to offset lower fuel consumption, even at low diesel prices. The system’s main component is a large cabinet inserted into the exhaust stack, and is designed to be mounted in a wide variety of locations and positions within the engine room for ease of vessel design. The unit contains the urea injection nozzle (upstream of the cabinet), sensors, and replaceable canisters of vanadium catalyst. Cat designed the system to be easy to service, with intervals matching those for the engine. While Cat offers the SCR system as part of a package with its new Tier IV 3500 series, it does not sell the system separately for retrofit to existing engines. 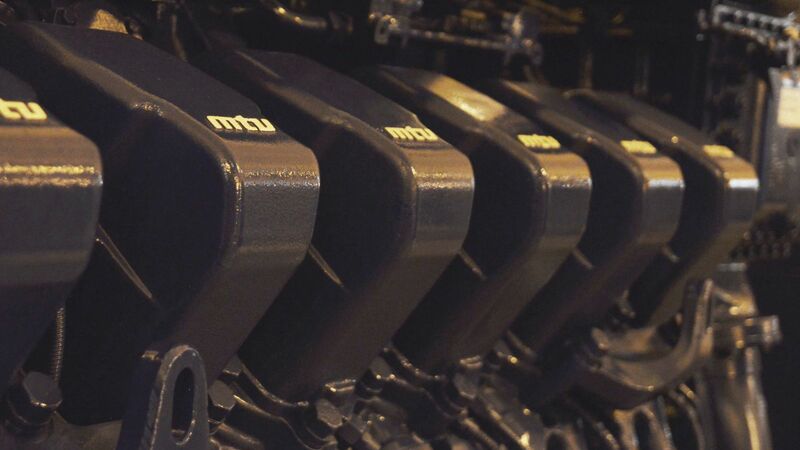 Cat and catalyst supplier Tenneco say that the EPA certifies Tier IV emissions with the engine manufacturer, and that any unapproved combination of SCR system and engine would not meet legal requirements – even if its emissions met the standard. However, Tenneco does offer an aftermarket SCR system for bringing an existing engine up to local regulations or IMO Tier III NOx requirements, which may be certified at the vessel level rather than through the engine manufacturer. Alternatively, GE is moving ahead with the use of an exhaust gas recirculation (EGR) system for reducing its NOx emissions. Its V250 engine offerings were on display at Workboat, and are available in models between 2000 and 6000 horsepower. The new V250 is adapted from GE’s line of locomotive engines, and it uses high pressure common rail fuel injection, dual stage turbochargers, and EGR to meet the Tier IV requirements, without urea aftertreatment. For vessels with lower horsepower requirements, a twin screw configuration with two engines below the Tier IV horsepower cutoff could provide the power of a single large diesel with SCR or EGR. Several manufacturers at Workboat displayed offerings in the sub-800 horsepower size range, including MAN and Volvo Penta. Other compliance alternatives include running on natural gas, which produces almost no particulate matter and about 40 percent less NOx before aftertreatment. Many manufacturers, including MAN and Wärtsilä, offer engines that can run on either natural gas or diesel, giving vessel owners maximum flexibility to choose fuels and keep costs down. But many operators face a chicken-or-egg problem for LNG bunkering: there are few facilities where vessels can fill up, and there are few customers for the fuel. Engineers and executives with Lloyds Register, Siemens, Dresser, Waller Marine, Shearer Group and Conrad Industries have announced that they are teaming up to advise workboat customers on LNG applications and fueling. Dresser aims to address the bunkering facility problem with a fleet of small FLNG barges, which would tap local natural gas pipelines to create LNG on the spot at key locations on inland waterways. The FLNGs could be easily moved with demand, and could set up at the regular fueling points for an inland barge line’s scheduled runs – making cheap LNG with stable and predictable pricing for customers. The partners are also working closely with regulators to make the transition to LNG bunkering a smooth one for owners. Perhaps the ultimate compliance solution (for very specific applications) is the all-electric vessel, with no emissions whatsoever. 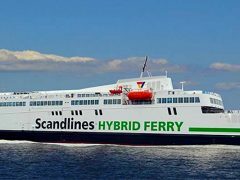 The all-electric ferry Ampere, with systems by Siemens and batteries by Corvus, makes a six-kilometer run along a fjord in Norway over 30 times a day. It recharges briefly at the dock between trips while passengers offload and onload. 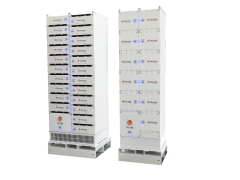 While the cost of electric systems is high – “not yet competitive without government subsidy,” according to a spokesman for one battery manufacturer – lithium ion batteries are expected to get significantly cheaper over the next several years due to economy of scale.